These cute little washcloth butterflies make fun baby gifts. 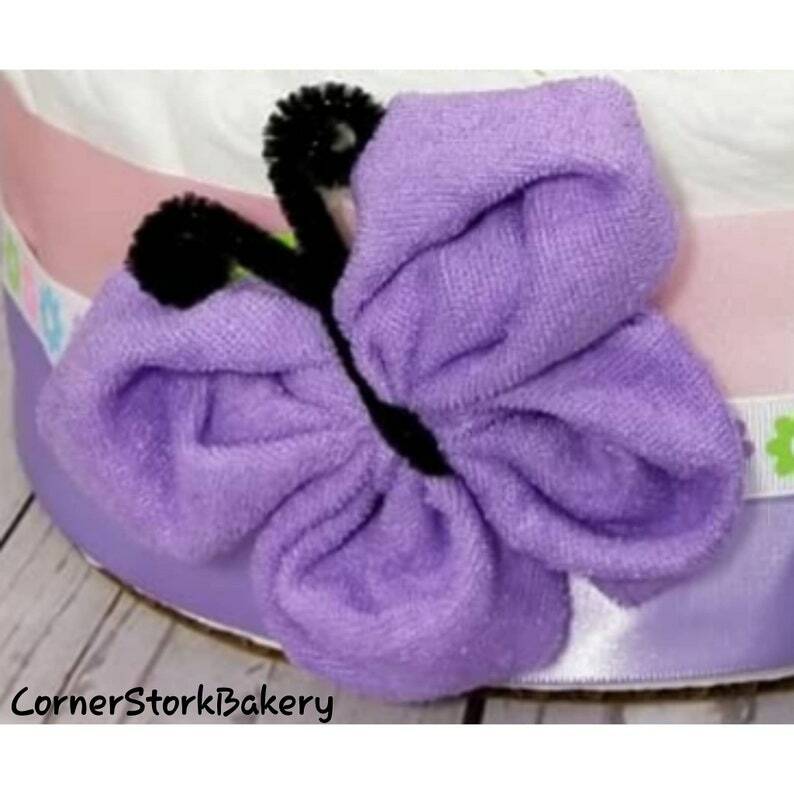 You could add them to a diaper cake for the baby shower centerpiece/gift or order the expecting parents many as you want because they're cute! Give them 1 for every day of the week. You can never have to many washcloths for a newborn. This listing is for 1 Washcloth Butterfly. Includes: 1 baby washcloths & pipe cleaners. It will be nicely wrapped up in a cellophane bag with matching ribbon and a handmade gift tag. ☆ Can be made in many different colors and even full size washcloths (for that adult you know just has to have one). They make unique party favors to! The price for a Full size Washcloth Butterfly is $6.50 each per request. Send me a message and we can get your order started. ☆☆ If you are ordering multiple butterflies please send a message before placing your order and we can see if we can cut the shipping fee down. Item as described! Thank you so much!